A leading photographer based in Minneapolis was looking for a reliable image masking service provider who could help in image masking services. Our team photo editors provided the services within a quick time. A leading American client who is a packaging and food specialist was looking for a reliable image clipping service provider. Our team of expert image editors provided the services within a quick time. A leading real estate client based in Portland, USA was looking for a reliable image editing service provider who could help them with panorama stitching services. Our image editing team provided the client with quick and cost-effective services. A leading Australian client who specializes in sales and merchandising was looking for a reliable partner who could help them with portrait restoration services. Our team provided the services within a quick time. A leading 3D real space visualizing client approached us with a requirement of image editing and video creation. Our team of photo editors provided the services in no time at an highly affordable cost. A leading baby and toddler swimming coaching company were looking for a partner who could provide them with image manipulation services. Outsource2india's team of image editors provided the services at an highly affordable cost. Learn how we worked with a European real estate company to edit drone-captured real estate photographs in a short time frame and with 98% accuracy. We also added in music tracks, removed unwanted footage, and added specific texts to ensure all client requirements were met with aplomb. Learn how our outsourced solution provided the impetus to our client to serve their customers better by providing affordability and quality in services, while streamlining its own operations with the help of our high-quality, cost-effective and time-bound image editing solution. Our image enhancement and photo editing services were availed by a photo studio in the U.K. We succeeded in adapting to the customer’s style of working and delivering the work as per the customer’s requirements. We process 200 to 400 high quality images every week for the customer. We provided image processing services to a company that owns 13 studios across Norway. By using our services, the customer benefited from huge cost savings. The company highly appreciated our professional and timely services. 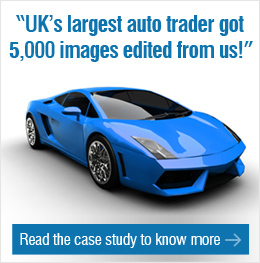 We provided high quality and professional image clipping services to UK's largest auto seller. With the help of our timely services, he was able to achieve a target of 5000 images in a month, and now outsources most of his image editing needs to us. We worked on a photo stitching project for a Norway based Photography and Design Company. We had to stitch an image which was more than 0.3 kilometer long and consisted of about 300 individual images. The project was delivered to the client within 60 days. Outsource2india provided HDR image editing services for over 80,000 raw images and photographs of hotels and other properties to a US based video production services company with 95% accuracy in just 20 days.